Sell Sennheiser HD 800 | How Much are Sennheiser HD 800 Worth? Select the information above in order to receive an accurate quote for the Sennheiser HD 800 you want to sell. Click sell item if you agree with the price that is displayed. GreenBuyback purchases cell phones, tablets, and laptops at the highest prices in the industry! GreenBuyback pays cash for your old cell phones, tablets, and laptops. When you sell your cell phone, tablet, or laptop to GreenBuyback you will never have to pay shipping. GreenBuyback is dedicated to maximizing the cash back to our customers. Sell your Sennheiser HD 800 for cash today! Originally released in October 2009, the Sennheiser HD 800 headphones sound less like a pair of headphones and more like an amazing set of speakers. The stereo output makes you feel like the action in a movie is going on all around you, or, if you listen to music, like you are actually live in the studio. The ears are comfortable and the the Y cable to durable, wrapped in cloth and reinforced with Kevlar. GreenBuyback will buy your Sennheiser HD 800 in any condition, even broken! 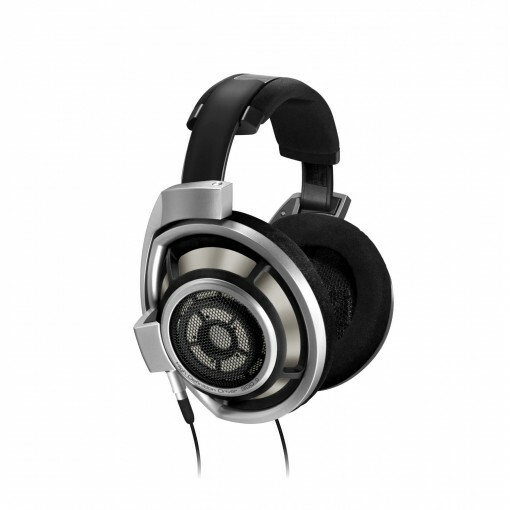 Simply head to GreenBuyback to get a quote, send your Sennheiser HD 800 in, and get cash quick! The HD 800 weigh 11.64 oz and have a frequency of 8 Hz. As far as connectivity, they support a phone stereo 6.3 mm jack. Perfect for the sound aficionado in your life -- or for your next long plane flight in coach. Selling a Sennheiser HD 800 is so easy with GreenBuyback; send your Sennheiser HD 800 to GreenBuyback with free shipping and you’ll get cash sent to you fast!